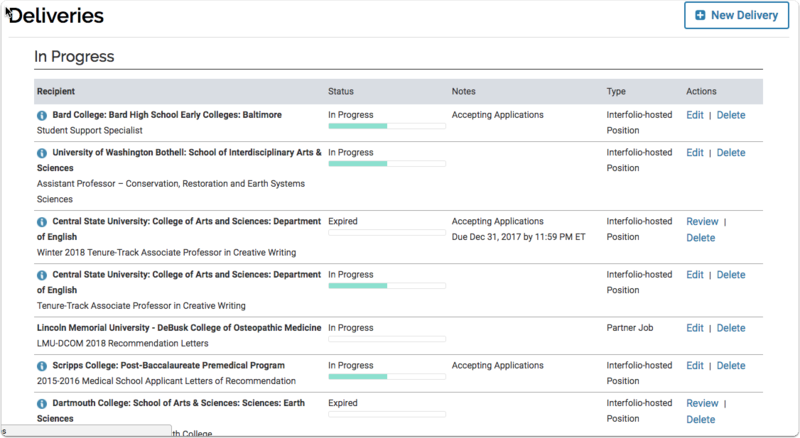 Interfolio's Dossier allows you to easily track and manage the delivery of your materials to Interfolio-hosted positions for free. 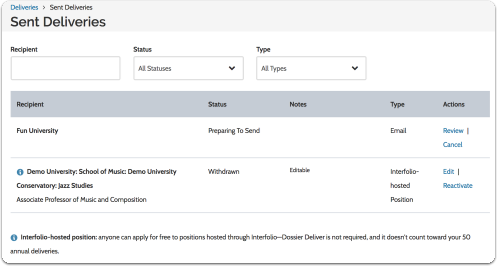 With an upgrade to Dossier Deliver, you can send, track and manage deliveries of materials by email, post, or confidential letter uploads to online application systems. 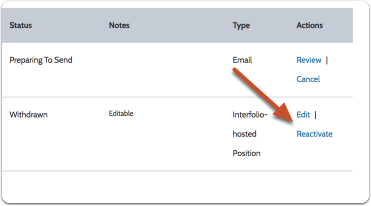 Columns in the table include; the recipient, status of the delivery (incomplete, in progress, preparing to send, etc. ), any notes you have created about the delivery, the delivery type, and the actions you can take concerning the delivery. Some sent deliveries can also be "Cancelled"
Scroll down the page to see a list of deliveries you have already sent. You can review and cancel sent deliveries. 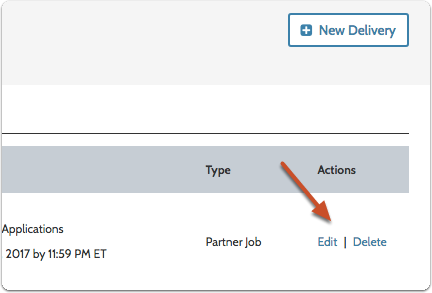 It's easy to view past deliveries, and you can also reactivate cancelled deliveries to Interfolio-hosted positions from "Sent Deliveries." 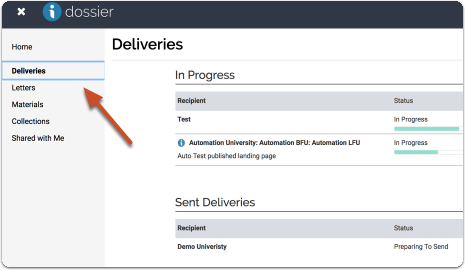 On the "Deliveries" page, scroll down and click "View all sent deliveries"
Delivery types include email, mail, confidential letter upload, and Interfolio-hosted position. Look to the right of the page under "Actions." 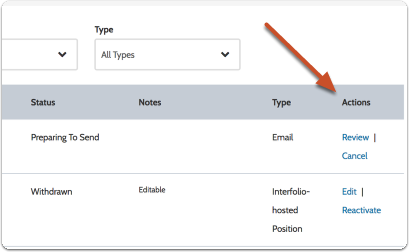 If a delivery is editable, it will be labeled as such in the "Notes" column.